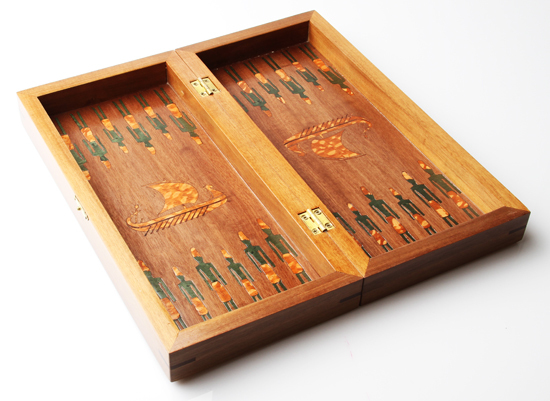 This backgammon set is perfectly suited for players looking for portability, elegant design and quality craftsmanship. 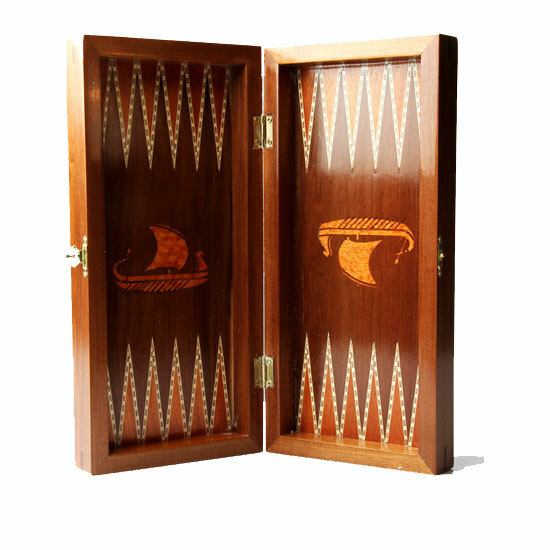 Included with this backgammon set are grooved checkers and dices. 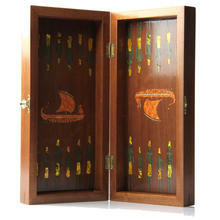 Hand-made in Lebanon, these beautiful all wood backgammon sets combine exotic wood veneers and dazzling colors. 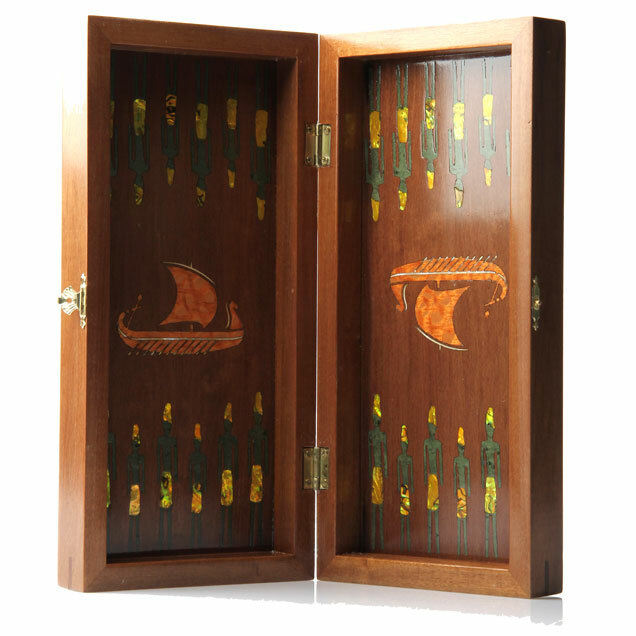 This wooden backgammon set is equipped with wood checkers & dice.